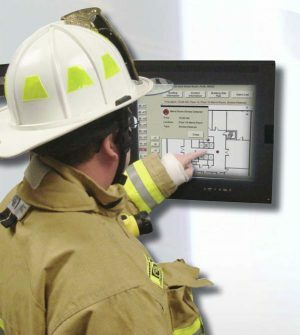 The LCD-80 is an 80-character, backlit LCD display annunciator for the NOTIFIER NFS2-640, NFS2-3030, NFS-320 fire alarm control panels, or the NCA-2 network control annunciator. 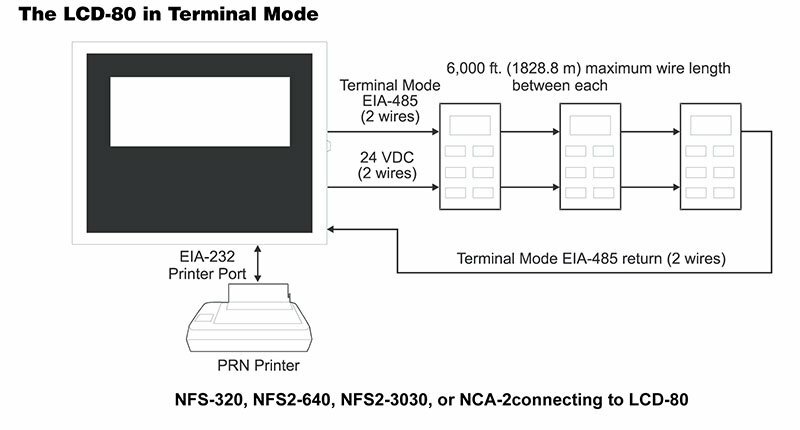 Up to 32 LCD-80s may be connected onto the two-wire EIA-485 port. The LCD-80 has two basic modes of operation, “Terminal” and “ACS” mode. NOTE: The LCD-80 can also be used with Legacy panels. Please refer to the LCD-80 manual for more information. Control switches for System Acknowledge, Signal Silence and System Reset. Can be remotely located up to 6,000 ft. (1828.8 m) from the control panel. Local piezo sounder with alarm/trouble resound. 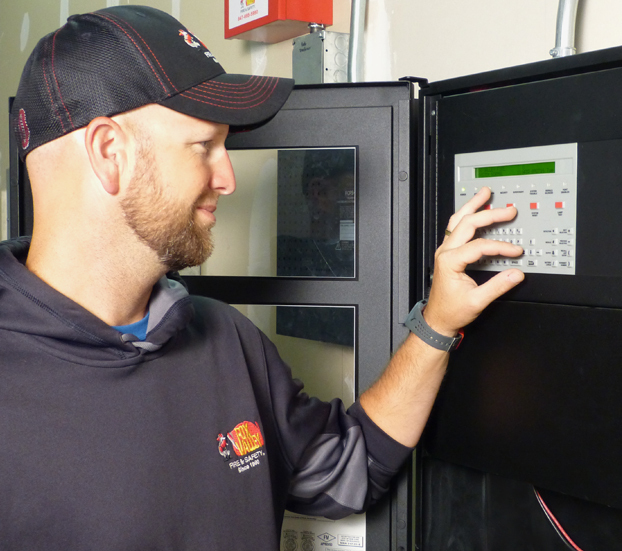 EXAMPLE: A maintenance office receives only non-alarm point activations. These inputs could be sump pump on, high water, backup AHU on, low temperature in freezer, etc. European option: first alarm/last alarm/alarm count. Field-programmable messages from CRT or PC-compatible computer (PK-LCD80 Programming Kit required). EIA-485 interface: up to 32 per system. Printer output port: EIA-232, compatible with PRN Series printers. Field-programmable messages in nonvolatile memory in two options: 128 points, 40 character labels; or 256 points, 20 character labels. Internal nonvolatile clock for time and date in ACS mode. In “Terminal” mode, the LCD-80 mimics the NFS2-640, NFS2-3030, NFS-320, and NCA-2 displays. 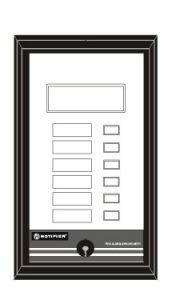 Up to 32 LCD-80s can annunciate and provide remote reset, acknowledge, and silence of the control panel from remote locations. Device and zone custom alpha labels. May operate in addition to CRT. NFS2-3030 and NCA-2 firmware version 14.0 and higher supports LCD-80 in terminal mode. LCD-80 is 8.25″ (20.96 cm) high, 4.375″ (11.11 cm) wide, and 1.75″ (4.45 cm) deep. Up to LCD-80s may be used on one EIA-485 circuit. NOTE: Must have sufficient regulated 24 volt power. 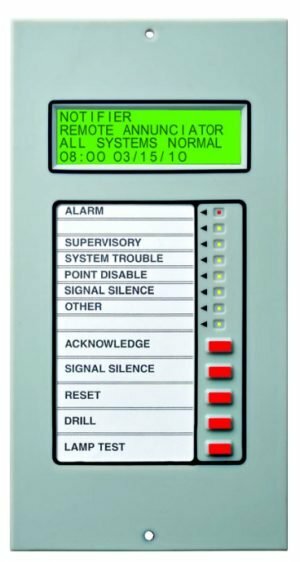 Certain NOTIFIER systems may have limits to the amount of LCD-80s with ACK/STEP, Signal Silence, and Reset switches. LCD-80 mounts with any CHS-4 chassis slot. 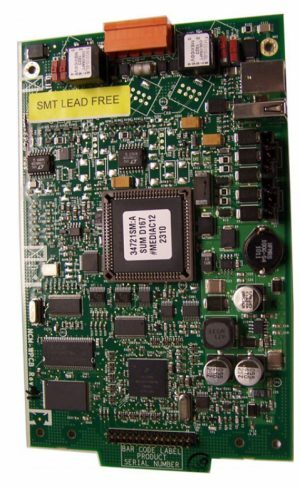 Up to 32 LCD-80s may be used in a continuous 4-wire loop (verify sufficient 24 VDC available). Each may have ACK/STEP, SIGNAL SILENCE, and SYSTEM RESET switches. Displays all analog, addressable points. No programming required for LCD-80s. The ABF-1DB is a semi-flush-mount backbox for the NOTIFIER LCD-80 Series Annunciator. The ABF-1DB mounts one LCD-80. It includes an attractive smoked-glass door with NOTIFIER keylock. Dimensions, BOX only: 9.938″ (25.24 cm) high, 4.625″ (11.75 cm) wide, 2.5″ (6.35 cm) deep. Dimensions, DOOR only: 10.713″ (27.21 cm) high, 6.0″ (15.24 cm) wide, 0.75″ (1.9 cm) deep. 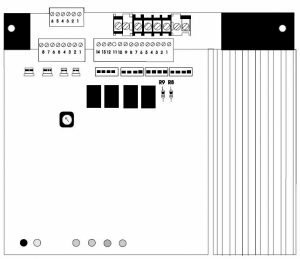 PK-LCD80 (only available for download): Off-Line Programming Kit for LCD-80. Allows PC programming messages when LCD-80 is used in the ACS mode. ABF-1DB: Semi-flush box with alternative smoked-glass door, any keylock. ADP-4B: Annunciator Dress Plate, black. Allows panel mounting of up to four LCD-80 modules in a CAB-4 Series cabinet. ABF-1B: Annunciator Flush Box, 9.938″ (25.24 cm) high, 4.625″ (11.75 cm) wide, and 2.5″ (6.35 cm) deep. Order AKS-1B key switch if desired. 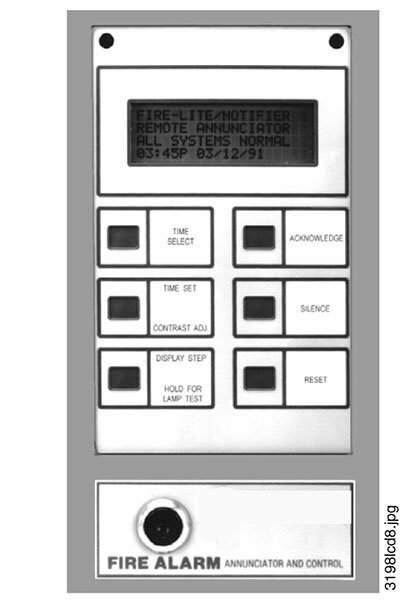 Can also be mounted in ABF-2B or ABF-4B annunciator backboxes. ABS-1TB: Deep Surface Backbox (mounts one LCD-80). AKS-1B: Key Switch (black) to enable/disable controls when mounted in ABF or ABS-1TB. These listings and approvals apply to the modules specified in this document. In some cases, certain modules or applications may not be listed by certain approval agencies, or listing may be in process. Consult factory for latest listing status.